For many generati ons, well before contact with Europeans there was a landing on the shore at the bottom of the Yantic Falls, where the water becomes calm. Here the natives brought their canoes ashore bearing the dead. 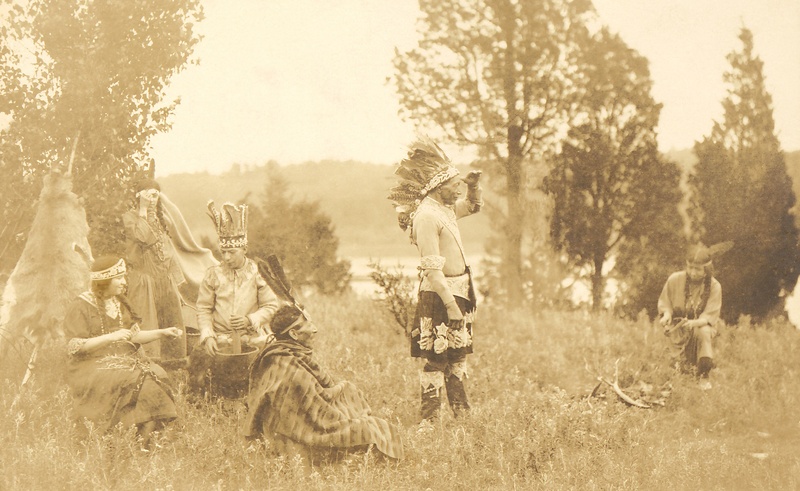 Beyond the landing, on a plateau that rises 20-30 feet above the shore, is the traditional burial place for Mohegans. They brought deceased relations from the canoes on litters and carried them up an incline that ran from the plateau’s base to its top where tribal leaders and their families were interred. The burial grounds were marked on one side by the ravine and spread outward along the ravine for 16 acres. Where Norwich now sits was called the corn fields. Fresh water flows from the Yantic River into the estuary known now as the Thames River. There was enough room to plant corn, beans and squash, wiwáhcumunsh, masqusitash, tá áskotash, in the sun; and nearby were forests abundant with berries, nuts, and medicinal plants. The forests also provided a place to find deer and smaller animals and birds whose meat or pelts were highly prized. 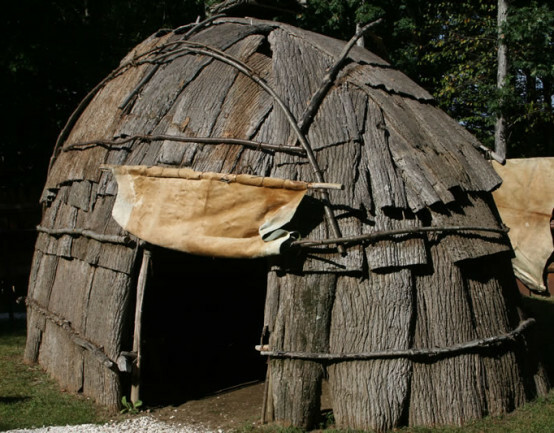 The people lived here in wiqámash – wigwams – dome-shaped homes – made from bent tree saplings lashed together with plant- or tree-fiber cordage. 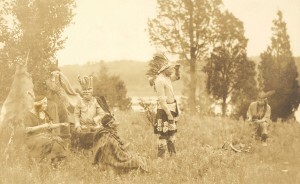 Mohegans covered their wigwams’ exteriors with bark or hides, or with mats during the summer. They furnished the inside of the wigwams with mats made from cattails, which grew plentifully in rivers and wetlands. This carefully designed dwelling allowed heat generated by a central fire to travel upwards towards the smoke hole in the dome, keeping the entire living space warm. Wigwams were usually much warmer in wintertime than Europeans’ rectangular homes, as settlers reported. The river formed a vital part of this indigenous landscape. A few miles down the Thames, Mohegans constructed a fish weir – setting rocks into the riverbed to trap or channel fish as they swam up the river to spawn. The river also connected this place to the sea, where Mohegans traveled in sizable mushoyash (dugout canoes) to hunt larger fish or whale. Inland and coastal waters provided oysters, clams, scallops, lobsters, and crabs, which Mohegans valued and ate regularly. At times men carried torches to the river at night when eels were spawning. They were among their favorite meals. Everyone shared the products of hunting and fishing expeditions. The women processed fish, meat, and hides. They used almost anything that passed through their hands. Because so many of these meats and vegetables were only available at a certain time of the year, portions of their harvest were dried or preserved in other ways to support the community through the wintertime. Hand woven bags and baskets held food for storage.